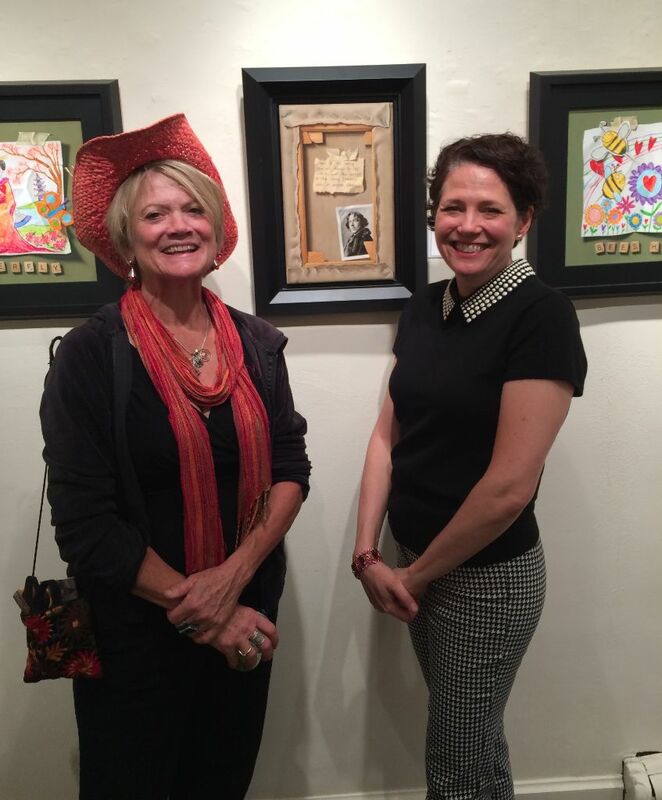 I was so pleased to be able to meet Natalie Featherston last Friday at her opening at Meyer East Gallery on famed Canyon Road in Santa Fe. I have admired her work for years for its quirky, joyful celebration of different realms of art: innocent childish art and sophisticated professional work. Her trompe-l’oeil style is astonishingly accurate. The images are ultra-realistic. 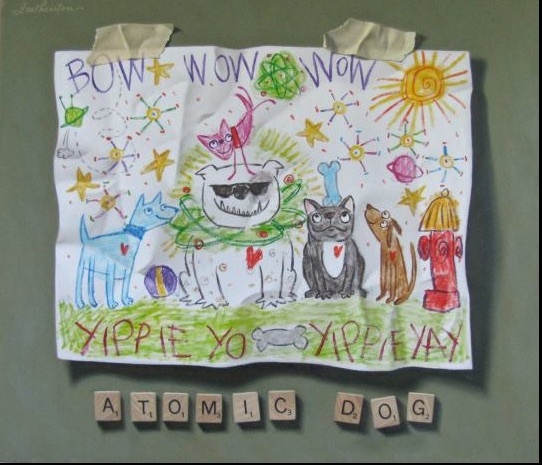 Crumpled crayon drawings look as if they are glued onto the canvas rather than lovingly painted. Her Behind the Canvas series always makes me laugh. They are clever depictions of renowned artists, shown on the reverse side of stretched canvases. The artwork is a PAINTING of the reversed canvas, not the back of an actual canvas. They are accompanied by inspiring and revealing quotations about the artist. 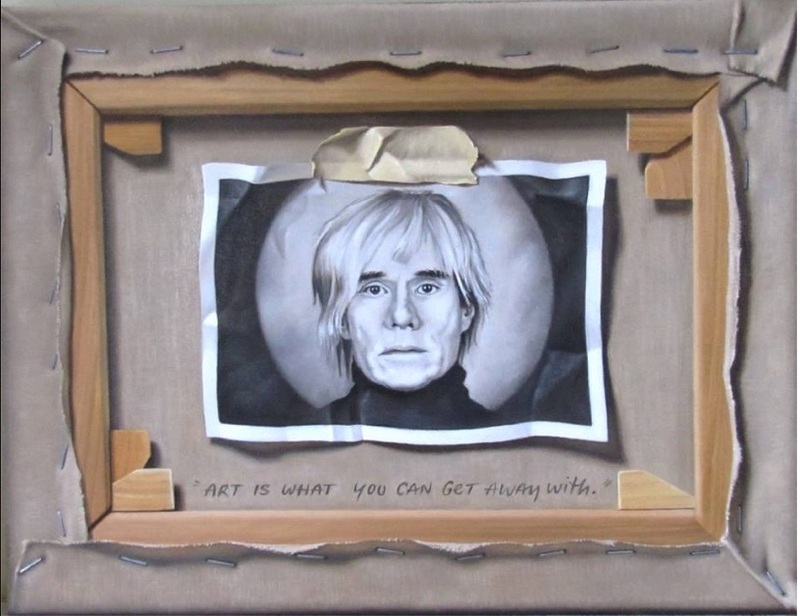 Warhol’s quote: “Art is what you can get away with,” sums up his philosophy well. Her Young Artists Show Promise series is sure to elicit smiles of pleasure and amazement. Pleasure, because she captures the innocence and joy of childish art themes. Amazement because her oil painting technique is so exquisite. Crumpled paper painted, is crumpled paper 3D, seeming to float on the surface of the canvas. The rough texture of a crayon line is absolutely perfectly rendered. Scrabble tiles seem so real you are tempted to pick them off the canvas. 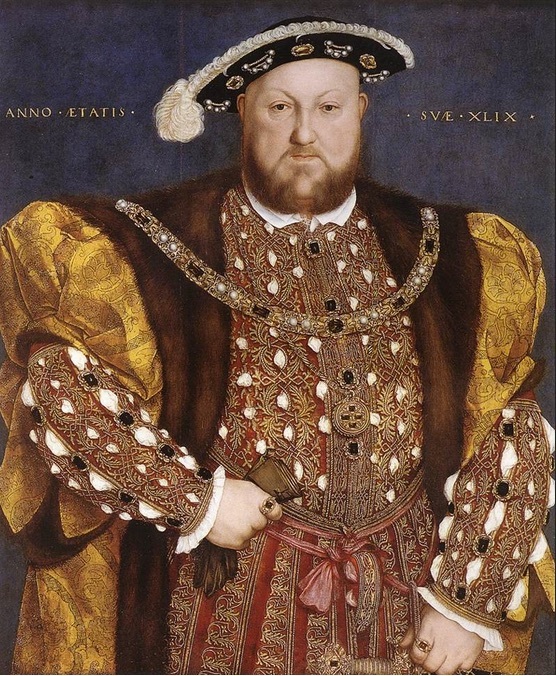 Henry VIII Hans Holbein painted by Hans Holbein the Younger in 1540. Her flawless realism reminds me of Hans Holbein’s Henry VIII, painted in 1540. The jewels on his vest were so accurately painted it was hard not to reach out touch them to be sure. Hmmm… Probably the museum guard would not have approved! If you have the opportunity to see an exhibit of Natalie’s, don’t miss it! Fascinating, Liza. I’ve always admired the trompe l’oeil style. It shocks me with its realism. But I wasn’t familiar with her work. Thanks for sharing it!